If you’ve been involved in motor vehicle collision, you probably have a lot on your mind. Your vehicle may be damaged. You or your passengers may be injured. You may be unable to work due to your injuries. You may have expenses piling up. Most of all, you may have a lot of questions. What are your legal rights? What are your options? 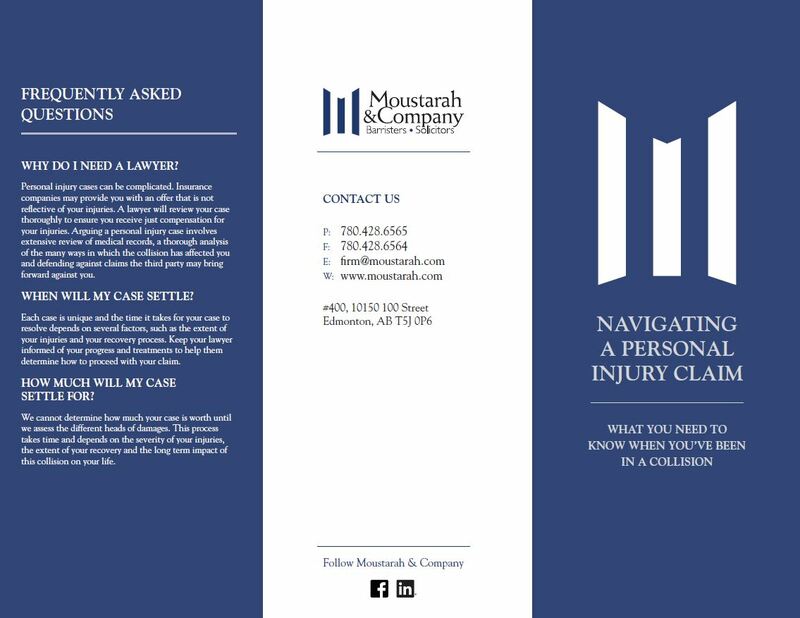 At Moustarah & Company, we understand the effects that a motor vehicle collision and injuries caused by a motor vehicle collision can have on your life. That is why we are committed to providing outstanding service that is tailored to your needs, to help you during this difficult time. 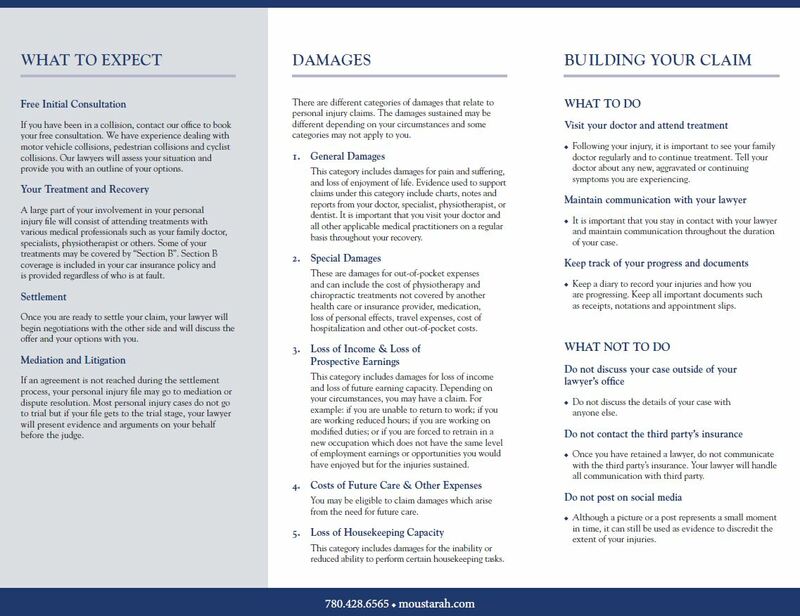 As part of our commitment to providing excellent service, we have created the brochure pictured below to provide you with some information on navigating a personal injury claim, and what you should know and expect when you have been injured in a motor vehicle collision. If you have been involved in a motor vehicle collision, contact us for a free initial consultation. You can also download the brochure pictured below by clicking here. Next PostNext What is tort law?